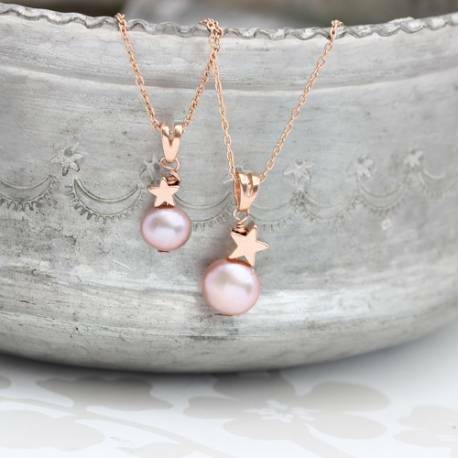 A stylish modern pearl jewellery set, comprising of a pink, white or peacock pearl and rose gold star pendant for an adult and child. 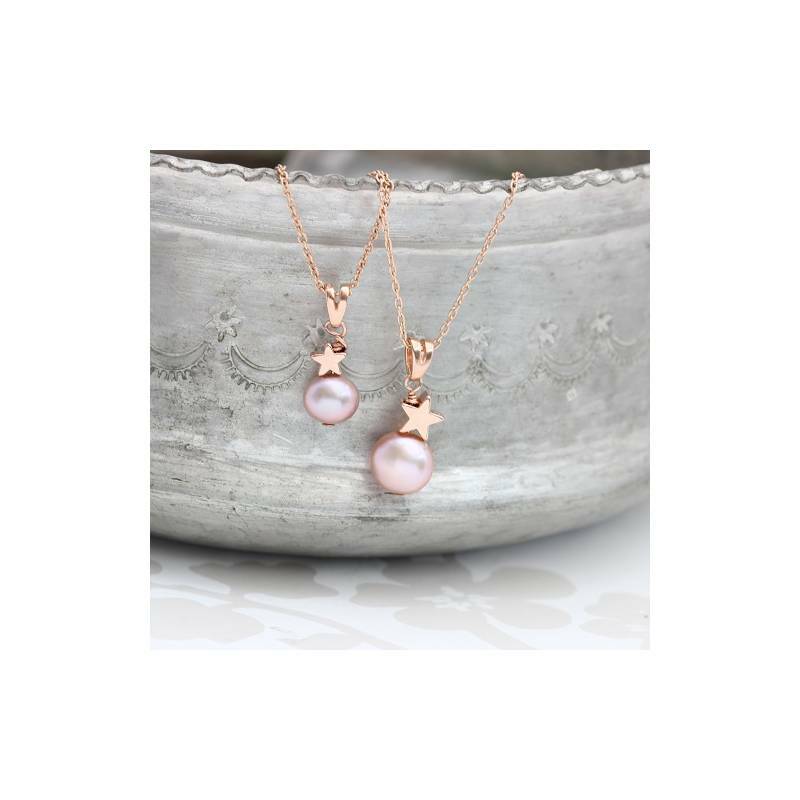 The perfect pearl jewellery gift set for a Mother and Child. Your jewellery set will be beautifully gift wrapped in 2 seperate matt boxes, black for the adults and amethyst for the childs, tied with ivory satin ribbon and a gift card enclosed. This standard service is completely free of charge. 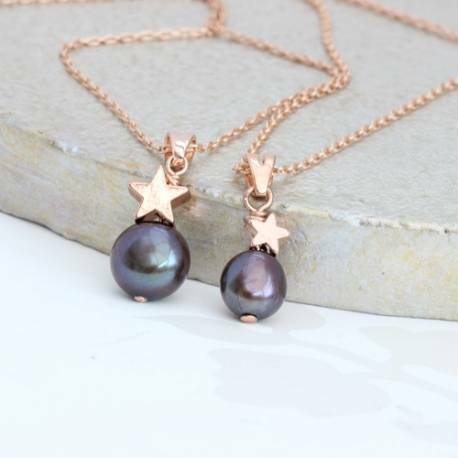 Rose gold plated brass and freshwater pearls.